With just days left in the regular season, it looked like multiple regionals might be thrilling affairs, with two or three teams duking it out for the last bid. But when the Southwest lost their second bid and the South Central picked it up, it settled most Regionals into more predictable races. Still, there are plenty of question marks and always the possibility of a wild upset or two. Here’s a breakdown of each region. In a familiar set up to previous years, the Great Lakes has two bids, and the two teams poised to take them are #14 Michigan High Five and #15 Chicago Machine. Once again, High Five will enter as the top seed, but Machine is the back-to-back to regional champion. The two Great Lakes powerhouses look to be on a crash course to meet again. High Five is one of the toughest teams to figure out this season. Notably, the team is 2-0 against Machine. Michigan also played tight games with DiG, Truck, and Revolver, losing by a combined five points at the Pro Championships. Keegan North and Paul Arters have powered the offense all season long, and, every year, it seems like High Five is right on the brink of breaking into the top tier of the division. Joe White is back healthy and looking dangerous, and there is lots of continuity on the roster. For as close as they have come, though, Michigan needs to actually start winning some of the tough matchups. If they can defeat Machine again when it counts, this time with Kurt Gibson on the field, it would go a long way to proving that they are closing the gap. Machine didn’t have Gibson and only had Pawal Janas one day at the Pro Championships. The impact of missing those two players was fairly clear. Machine missed the bracket and only picked up wins over Patrol on the weekend, even losing to High Five in consolation play. Expectations for Chicago were certainly higher to start the year, as they entered the season at #8 in the Ultiworld Power Rankings. Rather than get the expected Kurt boost, the team has instead looked less sharp than it usually does at this point in the season. Still, truthfully, the regular season no longer matters. Machine earned a bid and will be remembered for how they fare in the postseason. Don’t count them out of winning a third-straight regional title quite yet, especially with Gibson back on the field. After all, it is an even year. The one thing to consider is the location of the tournament. Even though High Five has had Machine’s number this year, Aurora is less than an hour outside of Chicago. We have seen a number of tournaments this season where home-field advantage has been a major factor. Bravo won Pro-Elite in Colorado. Sub Zero made the finals of the U.S. Open in Minnesota. PoNY won the Pro Championships in New York City. The only real exception to this trend was High Five, actually, as they finished 9th at Elite-Select Challenge in Columbus, Ohio. There is a pretty large group of challengers in the region who would all love to knock off the two perennial nationals participants. Indianapolis Brickyard, Cleveland Smokestack, Lombard Black Market, Athens Bro Cats, and Michigan Four all fall somewhere from 30 to 50 in the USA Ultimate rankings. Brickyard seems like the best-suited challenger, especially after Smokestack struggled at Sectionals. The Indy club, whose roster has developed chemistry for years competing with the Alleycats in the AUDL, earned Top Select status last season. Cameron Brock, Rick Gross, and Nick Hutton are big-time athletes. The team struggled, though, at its only major tournament this year, finishing last at Elite-Select Challenge. Still, they rolled through Sectionals, beating Black Market to take the top spot. It has been a while since a team other than High Five or Machine qualified for Nationals out of the Great Lakes. Madcow was the last team to in 2013, before High Five had formed. Could Brickyard steal a win in the game-to-go off of a team feeling drained after a loss in the final? It’s not out of the question, but they will still be a long-shot. Washington DC Truck Stop’s impressive performance at Pro Championshps saved the region from, as Philadelphia Patrol coach Charlie Hoppes called it, “a one-bid murderdome.” Now the Mid-Atlantic is back in familiar territory with two bids for three frontrunners and a glut of teams a step down looking to catch a favorite slipping. #12 Pittsburgh Temper come in as the top seed, but that designation doesn’t erase all the question marks. Their high ranking was fueled by a hot start to the season at Colorado Cup, featuring bracket wins over Sockeye and Dig. They mashed some paltry competition at Chicago Heavyweights and then buckled at Elite-Select later in August against Nationals-caliber competition. Temper looked great in Colorado and took care of business at a rain delayed Sectionals, but it should give pause that we haven’t seen them excel against elite competition in over two months. Of course, it’s also pause-worthy that we haven’t seen them at Nationals the last three years. Temper have lost some big games at Regionals recently and don’t have the institutional knowledge of winning at this level that Truck Stop and Patrol do. The talent is all there, with the University of Pittsburgh alumni core spanning several generations at this point and some young guys like Justin Abel and Max Sheppard making a big impact. This is the year for Temper to get back to Nationals, but if it doesn’t happen now…well, it’s best not to think about. #6 Washington D.C. Truck Stop are still favorites to win the tournament because that’s what happens when you’ve won the region every year in recent memory. With Rowan McDonnell enjoying the best season of his career, Tyler Monroe shaping into a deadly initiating cutter, and coach Darryl Stanley’s defense rounding into form, Truck would probably be the smart pick even without the years of built up psychological advantage. Fresh blood has helped the Truck defense find its stride. Athletic youngster Joe Richards made some huge plays at Pro Championships and Med Men import Troy Holland covered Chris Kocher as well as anyone did all weekend. It’s a new look team, but they’ve found themselves in a familiar position: they have to be confident of retaining their place in the hierarchy for another year. #19 Philadelphia Patrol’s streak of three straight Nationals runs looks like it could be in serious jeopardy. They just haven’t looked…right, all season long. Nothing has come easy, with the offense needing to work really hard to score and the defense chasing teams all over the field. Patrol’s young roster has been game for the challenge and kept contests close for long stretches against top teams, but the effort it took to be competitive takes its toll, and the team has often faded down the stretch of big games. They are definitively less talented than Temper this season. Patrol hasn’t had their full numbers up and running for most of the season — they had to play practice players at Pro Championships — so maybe Regionals will be where it all really clicks. But barring any hitherto unseen alchemy, Patrol could find itself on the other side of the game-to-go elation/heartbreak wave that they rode safely the past three seasons. Just below the surface of the top three is a layer of teams that have the goods to pull off an upset if the chips fall the right way. Baltimore Medicine Men have been within shouting distance of Nationals for years and got some reps against top competition at Co Cup. They toughed it out in the billowing rain at Capital Sectionals to beat Floodwall on double game point and have experience in big games at Regionals. While the boy from Baltimore have grit, the ceiling may be a little lower after they lost several of their DC Breeze players to Truck Stop’s gravitational pull. Med Men are stuck in a tricky Pool D with Richmond Floodwall and New Jersey Garden State. Floodwall have flitted in an out of the top 25 this season and have the big play potential to trade blows with top teams. Garden State needs to recover from getting smashed by Temper at sectionals if they are going to move the national needle. One big question mark is whether Rumspringa can mess up someone’s season. The team, cobbled together out veterans of Mid-Atlantic Regionals past, have already shown they have the ability to frustrate opponents with their chemistry-fueled direct approach, and they could ruin a team’s weekend even though they likely don’t have the legs to make a deep run on Sunday. The Northeast is easily the spiciest region in the Men’s Division as three clearly Nationals-quality teams take the field to fight for just two bids. #1 New York PoNY, #4 Boston DiG, and #13 Toronto GOAT all entered the season with legitimate aspirations to win a national championship. PoNY reloaded this offseason, most notably adding former Bravo star Jimmy Mickle. DiG absorbed part of the now-defunct Ironside team that won a national title in 2016. GOAT brought back the dynamic pairing of Mark Lloyd and Isaiah Masek-Kelly. Now, one of these teams that dreamed of a national title at the beginning of the season will not even make it to Nationals. New York PoNY headlines the group. PoNY is fresh off a win at the Pro Championships and has a chance to claim the Triple Crown with a National title. The season got off to a very rocky start as PoNY went 0-3 in pool play at the Pro-Elite Challenge and dropped a consolation game to a struggling Truck Stop. All of this, though, was while missing Mickle, Chris Kocher, and huge D-line addition Alex Ladomatos, who were gearing up for Worlds with the Australian team Colony. 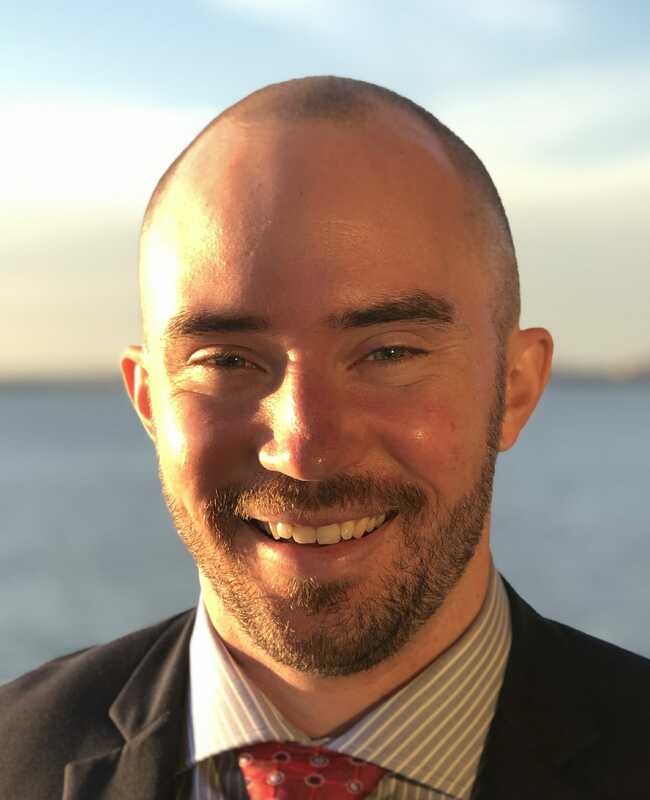 On top of that, Ben Jagt and several other members of the New York Empire were not with the team as they were in the midst of the run to AUDL Championship Weekend. Even with the Colony crew in attendance for the U.S. Open, Jagt and company missed out again because of conflicts with the semi-pro season. Sean Keegan and Sam Little stepped up to carry the load during their teammates’ absence. PoNY passed that test, even after a few hiccups in the form of losses to Doublewide and Revolver in pool play. Finally at full strength, New York demonstrated the potential many believed it would see at the beginning of the year as it frustrated Revolver to cap off an undefeated Pro Championships. PoNY is deservedly the top seed at Regionals this weekend, and they will be the favorite to win the region for the first time as a program. Much like PoNY, the uncertainty surrounding Boston DiG entering the season was not about the level of talent it had at its disposal. It was more about how the team would organize the talent it gained as Ironside folded after a decade. This is a young team continuing to develop in just its third year of existence. They picked up Tannor Johnson, fresh off a banner year with Slow White in the Mixed Division. It also added the veteran presence of Josh “Cricket” Markette as part of the group arriving from Ironside. The results have been promising. DiG coasted through the Boston Invite and earned solid wins at the Pro-Elite Challenge. Boston finally returned to action at the Pro Championships at the beginning of the month with some strong scores against top teams. DiG played close games with every team it faced, except for a blowout win over Ring. Boston lost twice to Revolver but kept both games very interesting, and they came up clutch to beat Sub Zero. Ben Sadok and Cricket have been dynamite in the backfield for the offensive line, especially in the latter half of the regular season. With their creativity, they will have the potential to upset PoNY and continue a long legacy of Boston wins in Devens. In 2016, an upstart team out of Boston stole the bid Toronto earned to go to Nationals. Fast forward two years, and Toronto GOAT now has the perfect opportunity to exact its revenge. Toronto had a short and relatively ugly regular season that saw them fail to earn a third bid for the Northeast. 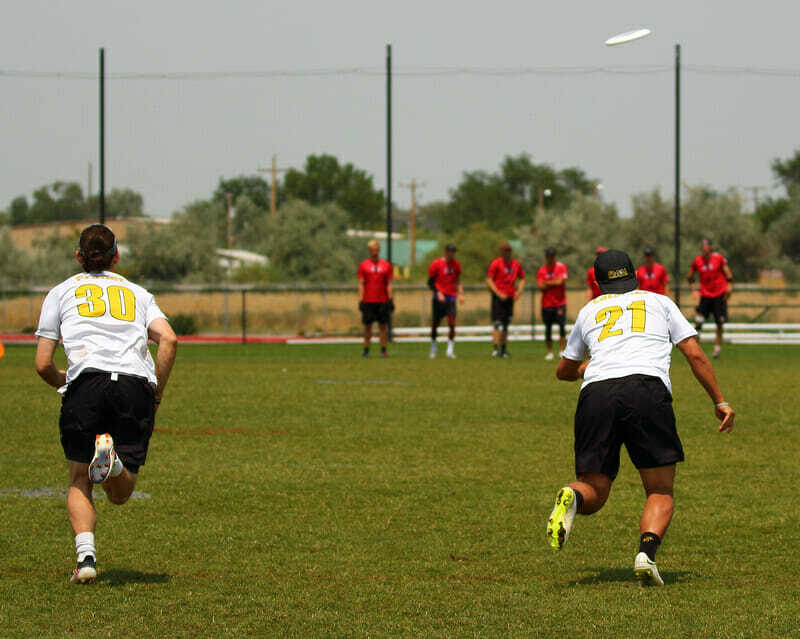 The team made a deep run at WUCC before falling to Revolver in the semis. That showing, paired with the return of Lloyd and Masek-Kelly, had GOAT start the season at 4th in the Ultiworld Power Rankings. The results since then have inspired a lot less confidence. Losses suffered at Elite-Select to Chain Lightning, Condors, and Mad Club knocked GOAT out of a bid-earning position. A round robin event with other teams from its section was not enough to push Toronto back into the bid picture. GOAT faced heavy opposition as well against Phoenix in its sectional final. Cam Harris, long one of the team’s top contributors on offense, has jumped ship and is competing with Union in the Mixed Division during the Series. The talent makes them a genuine threat to both PoNY and DiG, but GOAT simply is not playing at the level most expected them to. However, GOAT was the only team other than the Revolver to defeat Colony at Worlds. This team is capable of playing with the best teams in the division. But the last time they were depleted by a heavy schedule including Worlds, they melted down against DiG in the game-to-go. If GOAT can realize its potential, stealing a spot a nationals is well within reach. The group behind GOAT is a lot less heralded and a lot less capable of challenging the top three. Boston Big Wrench enters as the next highest-seeded team. Big Wrench put together a strong regular season. They reached the final at Boston Invite, made the semifinals at Heavyweights, and won Sectionals. Big Wrench’s only game against the top three was a 15-5 loss to DiG, but that was back in June. Fellow Pool D team #25 Montreal Mockingbird will hope to spoil the party as well. Comprised of several member of the Montreal Royal, Mockingbird snuck into the power rankings after a perfect sectional tournament. It played close with Madison Club during its only major tournament appearance this season at Elite-Select Challenge. The team with the most faith in its ability of knocking off GOAT, though, has to be Ottawa Phoenix. Phoenix took GOAT to double game point in the Sectional final and will matchup with them in pool play. Close only counts in horseshoes, but that result has to inspire confidence. No matter what happens, the region will have a different winner for the first time since 2013. Ironside won the previous four regional titles. The only other team to win Northeast Regionals dating back to the inception of Ironside in 2008 is GOAT, when they were led by virtuosic performances from Mark Lloyd and Derek Alexander. Maybe those guys — both back on the roster — can pull it off again. After a year of suffering as a one-bid region, #16 Portland Rhino Slam! and #18 Vancouver Furious George both hit the regular season hard in 2018 and wrapped up two more opportunities for teams from the Pacific Northwest to head to San Diego in 2018. #23 Seattle Voodoo, ever the second fiddle in the Emerald City, came within one point in a hard cap loss to Furious at Sectionals and have their best chance at Nationals in years. The format is forgiving: eight teams, two pools of four, and teams finishing in the top three on Saturday guarantee six teams multiple looks at the three bids. All three contenders have their strengths. Portland is back on the map after a strong regular season, bolstered in no small part by the return of Oregon Ego talent from Eugene. Rhino Slam! has the speed and the deep game to hang in the elite tier. And—if you count a win over Seattle Sockeye from the CBR Memorial—they’ve actually beaten the other three teams in the the top four. Portland’s only losses so far this season were to teams outside the region—and all three were back in early July. Vancouver is Portland’s chief challenger in Pool B. Unfortunately for Furious, they’ve already lost to Rhino three times this season. Fortunately for Furious, it’s Regionals—the team still has the kind of savvy, tough veteran talent at the top end to lead their younger players through tight situations. Then, there’s #3 Seattle Sockeye. The Fish haven’t been in action since the weekend before Pro Championships. Depending on your view on long breaks at the end of the regular season, the month off might have given Seattle plenty of time to work though any lingering issues. Or a month might be long enough to have some real jitters show up in the form of a wacky loss in the middle of Regionals. The problem is you don’t shake off 2017 Nationals that easy. Players and fans alike could have spent this entire season writing off last year as the weirdest fluke in the team’s history since the regional redraw, but that doesn’t change the fact that the only way to get away from a performance like that is to win, and win big. Sockeye is built to do just that—the other Northwest challengers don’t have the roster depth, experience, or top-end talent to beat this group at their best. Drama will almost certainly be in short supply in Blaine, Minnesota, this weekend as the best men’s teams in the region converge on the National Sports Center. What was an exciting one-bid region in 2017 has become a two-bid snore fest in 2018. If #7 Minneapolis Sub Zero and #8 Madison Club can take care of business, they’ll cruise their way to the final and a nationals berth each. Both teams are far and away the most talented and tested of the field; it will all come down to execution. The surprising no. 1 seed, Madison Club, hasn’t had nearly as splashy a season as their interstate rivals. Nevertheless, they’re earned the honor with a nearly spotless record across two–count ‘em, two–tournaments. With only three blemishes on their ledger (two losses to Sockeye and a DGP loss to High Five) and wins over Doublewide, SoCal Condors, and Machine, this is Club’s most consistent regular season in recent memory. With a roster highlighted by offensive dynamo Colin Camp, breakout defensive star Kevin Pettit-Scantling, and the explosive Peter Graffy, Club is confident their consistency will carry them all the way to San Diego. Sub Zero has had a season to remember, or more accurately, a tournament to remember. Sub’s run to the final of the U.S. Open is the stuff blockbuster movies are made of, and their thrilling double game point win over Revolver in the semifinal was unquestionably that film’s climax. While they’ve since had a fairly humdrum Pro Championships, Sub shouldn’t have trouble with anyone short of Mad Club. Their roster is loaded with young talent and the veteran leaders they’ve been missing these past few seasons. But Sub’s run at the U.S. Open came down to one thing: their O-line’s infallibility. Jason Tschida, Greg Cousins, and Ryan Osgar played lights out, while Sub’s scrappy D-line eked out the breaks they needed. If their offense can replicate that success (albeit without the advantage of a cheering home crowd), they can hang with anyone in the division. 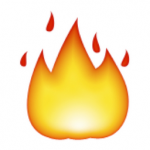 Per usual, the team with the best chance to play spoiler to Sub’n’Club is #22 Kansas City Prairie Fire. Although they’ve had a generally successful season, they lack results against quality competition. A 13-9 loss to Club at Elite-Select shows that Fire isn’t too far out from the two big boys in the region, but it’s going to take either fluky conditions (it’s supposed to be nice all weekend, as of now) or an absolutely herculean effort from the Kansas City squad to swipe a bid. Winnipeg General Strike could certainly give the top teams a scare if they aren’t playing their best– WUCC star Matthew Ladyman is a terror in the deep space and can get hot quickly–but the chances of an actual upset are slim, particularly after the departure of Mark Lloyd. The last time Colorado hosted this regional tournament (2013), a Doublewide roster dotted with Pittsburgh and Florida stars spoiled the hometown contender’s championship aspirations—but Bravo got the last laugh by ending Doublewide’s season in the national championship quarterfinals in Frisco a few weeks later. And just last year, Bravo captured the regional title over Doublewide hours from the Texas squad’s hometown in hurricane-ravaged Beaumont—mere weeks before Doublewide soundly defeated an undisciplined Bravo in their windy national championship round of 16 tussle in Sarasota. Both teams are dealing with significant turnover in 2018. Specifically, 14 players who took the field for Bravo in the 2017 Series—including leaders and starters like Mickle, Jesse Roehm, and Nick Lance—are playing elsewhere or not playing at all. #9 Denver Johnny Bravo, who traditionally gains talent from University of Colorado-Boulder and out-of-state transplants, strengthened new pipelines by selecting younger prospects either still attending or recently graduated from Colorado State University, Colorado College, the Air Force Academy, and Middlebury College to its 2018 roster. 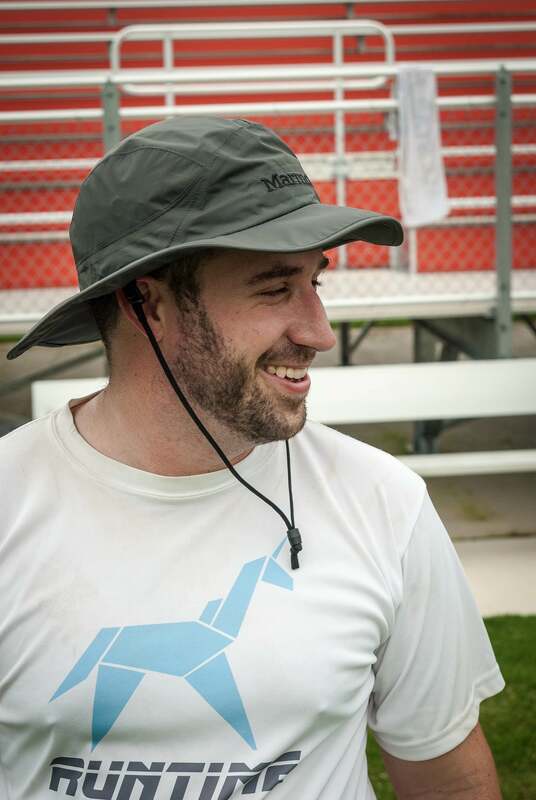 After the World Ultimate Club Championships concluded in July, #17 Austin Doublewide lost all-world mercenary Kurt Gibson, downfield threat Kevin Richardson, longtime offensive lynchpin Jeff Loskorn, and defensive stalwart Dan Emmons. A handful of depth and role players didn’t return for any phase of Doublewide’s 2018 campaign, like underrated defensive talent Zach Marbach. And even though he was listed in Doublewide’s 2018 roster announcement, potent offensive weapon Abe Coffin won’t be healthy enough to compete at any stage of the Series. To be sure, Doublewide added some depth from the Texas scene and even imported starter Chris LaRocque, who has been commuting from Colorado all season. Still, don’t be surprised when this year’s expected championship tilt doesn’t feature the Avengers: Infinity War-esque matchups of years past. Brodie Smith will probably be on the back nine somewhere in Texas. Mickle will be busy trying to secure PoNY’s berth to the national championships in a two-bid Northeast region possessing three Nationals-caliber teams. Gibson will be fighting to keep Machine relevant. Instead, this year’s South Central title game is likely to feature a different crop of stars in the midst of their primes, like Jay Froude and Ben Lohre; younger, rising contributors hailing from schools outside the traditional D-I college powerhouse pipelines, including Kaplan Maurer, Dylan Salzman, and Alan Villanueva; and, generally, teams looking to cultivate young talent and solidify identity for the years ahead. It’s hard to read much into the lone faceoff between these two teams that took place back in July—or into Doublewide’s regular season at all. When Doublewide lost to Bravo 13-10 in the Pro-Elite Challenge quarterfinals, the Texas team’s roster was in flux with players stretched between AUDL, USAU club regular season, and WUCC tune-up commitments. Bravo also benefited from a perfect storm of sorts throughout that weekend: they got to sleep in their own beds, play on their own practice fields, and shine at high altitude, which presented atmospheric conditions favoring their throwers and exhausting opponents (who normally throw and train at more oxygen-rich elevations). Doublewide struggled to accelerate into top gear at any subsequent 2018 tournament. Despite reaching the WUCC final four, epic storms and rescheduling shortened the remainder of that Colony match up, and Doublewide failed to complete a comeback to hold seed. Surprising losses to Truck Stop and Buzz Bullets dampened the optimism from a victory over PoNY during an inconsistent U.S. Open performance. When executed well, Johnny Bravo head coach Jim Schoettler’s center stack-based offense can be nearly impossible to stop. Its primary looks constantly reset the disc upfield and target break spaces with minimal defensive coverage, and this younger Bravo squad demonstrated its peak capability when it won the Pro-Elite Challenge with a well-rounded performance. But Doublewide has proven experience stymieing that offense, especially in windier conditions that naturally increase the difficulty of upfield resets and loopy or over the top break throws. What’s more, consistency has been hard to come by for a Bravo squad that finished the season with an underwhelming 4-9 record after its Pro-Elite Challenge championship. If wind speeds at championship game time are below 10 MPH (as they are currently forecast), it could be the Bravo offensive unit’s game to lose, playing once again in a favorable hometown environment. Of course, Doublewide’s defense gains greater edge and their size gains more importance with stronger wind blowing across the pitch. The purely athletic playmaking abilities of Froude, Maurer, and Michael Matthis can’t be overlooked, either, especially in a game that could turn sloppier than previous regional championship match ups between the two. Though both teams haven’t lived up to their own expectations in 2018, their programs are still steps above challenger squads like #21 Denver Inception and Dallas Nitro. Doublewide and Johnny Bravo have won every men’s South Central regional title since USA Ultimate created the region before the 2012 club season, and unfortunately for the aforementioned challenger squads, they don’t have the talent of a H.I.P. (or luxury of a third bid) to improve their national championship qualifying hopes this season. A year after Florida United went out with a bang at Nationals, the Southeast has returned to a steady state: Ring and Chain are back on top. #5 Raleigh Ring of Fire might feel a bit vulnerable after taking some tough losses over the past few months — PoNY (Mickle!) downed them twice during the regular season, they lost to Colony (Mickle again!) in the quarters of WUCC, they took an absolutely brutal loss in the AUDL2 to the Dallas Roughnecks in the playoffs, and they simply haven’t been as sharp as their roster makeup suggests they should be. Frankly, though, any sense that they aren’t a fantastic team is due to the sky-high expectations piled on the team after they’ve proven to be the #1 challenger to Revolver over the past few years. Winning the Southeast region should be comfortable for them. They are by far the most talented team, featuring the reigning Player of the Year Jon Nethercutt, Bob Liu, and Noah Saul in the backfield; strong downfield cutters in Jack Williams, Jonathan “Goose” Helton, and Terrence Mitchell; and enviable depth. While you can debate their chances of making a deep Nationals run, it’s hard to see them dropping a game at Regionals. #11 Atlanta Chain Lightning, the Southeast’s other bid earner, will certainly be the top contender to topple them. Chain hasn’t been at Nationals since 2015: Atlanta has struggled to return to form since the departure of the last few “Long Ball” veterans that were involved in their 2009 National Championship run. But the future has become the present and the prospects have turned into every-day players. Captain Matt Smith has been a key player for a few years now, but it’s the improvement of players like JP Burns, Austin Taylor, and Parker Bray that have really improved the team. Chain surpassed expectations at the Elite-Select Challenge, going 3-2 with wins over Temper and GOAT. They ran an effective zone that knocked teams out of rhythm and looked more polished on offense than they have in years. Credit to the coaching of Miranda Roth Knowles, who is fresh off of a season coaching the Atlanta Hustle in the AUDL and continuing with many of the same players now on Chain. Still, Chain is not a lock for getting back to Nationals. They’ve played two close games against fourth-seeded Huntsville Freaks this year already, most recently beating them 11-9 in the Sectional final. They’ll likely get their first big test this weekend in the semifinals against #24 Durham Turbine. Turbine, the three seed, is the benefactor of a very strong Triangle area. While Ring is no doubt the more talented unit, Turbine has some excellent players, including Matt Bode, who was released from Ring earlier this season. Don’t forget that it was Bode who spurred Turbine to a shock upset of Ring at Sectionals in 2016, Durham’s only ever win over Raleigh. Turbine struggled this season against elite competition, going 1-4 at the Elite-Select Challenge, although they did play tight games against Condors and Patrol. Still, this may be the best Turbine team we’ve seen, and they will feel confident that they have an opportunity to get to Nationals. Huntsville Freaks, too, will have a shot at getting into a game-to-go and having a puncher’s chance. Freaks has clearly been the best team in the South outside of Atlanta. Justin Schroeder has been excellent this season, and the Radcliffe brothers — Tom and Matt — continue to be key offensive line contributors. They’ve been a couple points worse than Chain in their two meetings this season. They’ll have to play their best game to have a chance to take them down. It was a nightmarish Pro Championships for the Southwest, as strong play from PoNY helped Bravo’s ranking, pushing the Condors out of the final spot in the top 16 and erasing a second bid from the region. #2 San Francisco Revolver will be the heavy favorite, per usual, and the SoCal Condors and Oakland Guerrilla — who finished one and three spots outside of the bid cutoff, respectively — will likely have to settle for fighting for the opportunity to lose to Revolver in the Regional final. Despite what was, for them, a lackluster regular season, Revolver is still the odds-on favorite to win a National Championship. With the addition of John Stubbs to an already talent-packed roster, Revolver only solidified their front-runner status. Grant Lindsley, Ashlin Joye, and Cassidy Rasmussen have been three of the game’s best players for years, and no team in the country has the depth of elite talent that Revolver can boast. Revolver looked uncharacteristically shaky at the Pro Championships, losing to PoNY in the final while playing one of their worst offensive games in years. Their O-line defense also struggled mightily during the weekend, and, as a result, games were close. They didn’t win by more than four points in any of their six matchups. If you’re looking for a crack in the armor, there it is: if you can take the disc away, getting breaks is very possible. But they’ve had a few weeks to regroup and start to clean up some of the issues that plagued them in New York, and it’s not like they don’t have the ability to be suffocating on defense. #10 SoCal Condors has the best chance to land what would be an earth-shaking upset. Combining talent from Los Angeles and San Diego is truly starting to pay dividends. The Condors looked quite good at the Elite-Select Challenge, finishing 4-1 with five point wins over both Temper and GOAT. They lost badly to Sockeye — not a great sign if you’re looking for their path to a win over Revolver — but will get some much-needed lessons from the game. Travis Dunn has been a revelation this year, and veterans like Sean Ham and Tyler Bacon3 continue to deliver. The Condors’ offense has looked spectacular at points this year, but they got smothered by Sockeye’s relentless pressure, especially in the backfield. Revolver will bring similarly strong defense, so the Condors will need to be ready to hit open players early and often and keep the disc moving. #20 Oakland Guerrilla has struggled to keep up with elite opponents and took some ugly losses at Elite-Select, including to Indy Brickyard. Tim Gilligan and Andrew Moore have been standouts, and the team features a lot of talented young players who are still in college or just recently graduated, like Dillon Whited, Nick Hirning, and Jack Hamner. The most realistic goal for Guerrilla this weekend has to be to knock off Condors in semis. They are too inconsistent and too untested to really have a chance to beat a team of the caliber of Revolver, but they could give Condors trouble if their defense plays well and they play their best game of the season. As a one-bid Southwest goes, this year is at least as interesting as it’s ever been, as Revolver looks just susceptible enough for a Condors upset to seem possible, if remote. But that’s not really saying much, and the defending National Champs should comfortably advance. Comments on "Club Regionals 2018: Mega-Preview (Men’s)"